Wow. It feels like it’s been forever since I last wrote a review. 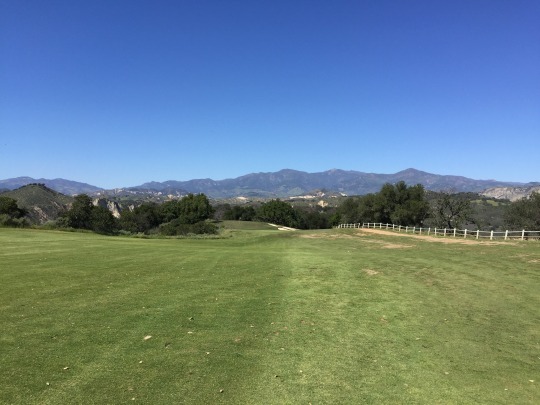 It’s been a slow few months for golf as I moved to a new area, but I am settling in and I expect much more golf on the horizon. 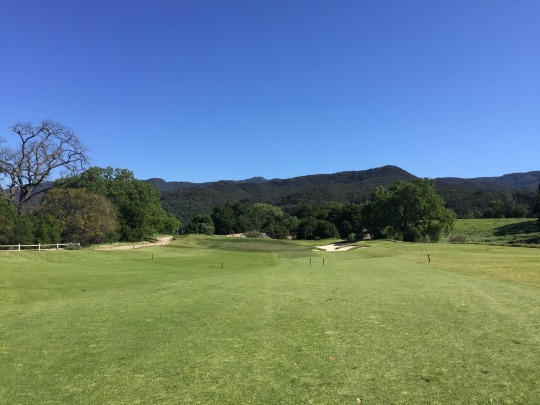 Last Friday, however, I did have the opportunity to replay a course that I had not yet fully reviewed on this site: Rancho San Marcos Golf Course in Santa Barbara. So that means I get to write new review! 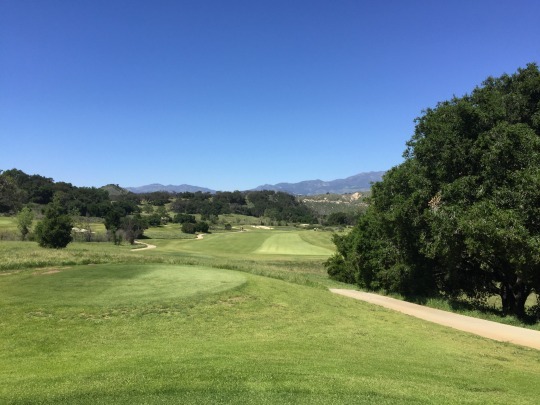 I played Rancho San Marcos along with a group of Greenskeeper.org members, taking advantage of the GK Review Guru program (write reviews, get involved in the community and get rewarded with killer tee time deals). We teed off around 11:30 and felt like we had the place to ourselves. That’s a cool feeling to have when you are surrounded by such a beautiful natural setting. 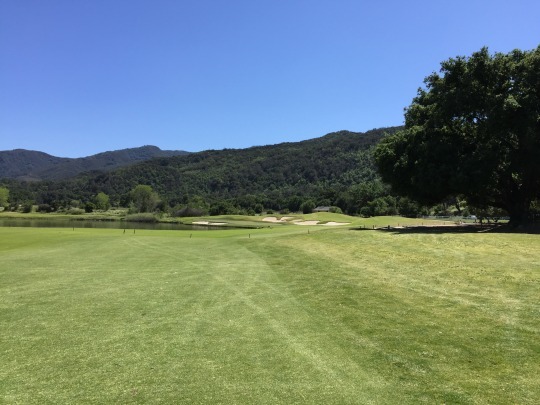 I first played Rancho San Marcos over 10 years ago and long before I had the blog. I absolutely fell in love with the course back then. It was an instant favorite for me. 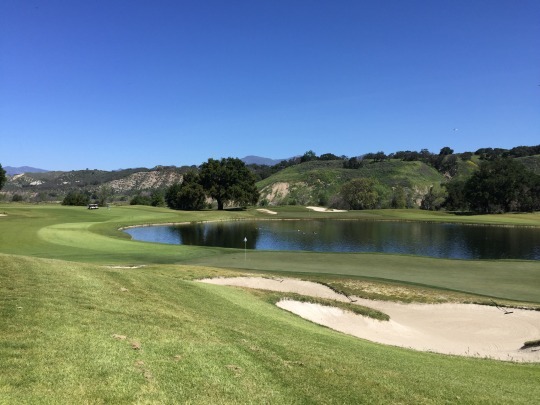 However, the course has really struggled in recent years because of the major drought that affected so many courses throughout Southern California. 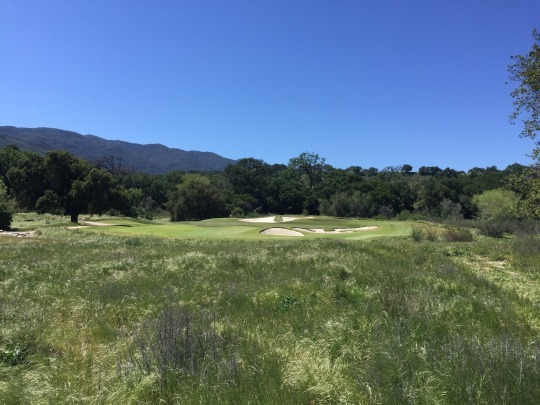 Not counting the courses that closed for financial reasons beyond just the drought, Rancho San Marcos really took the brunt of the water shortage. 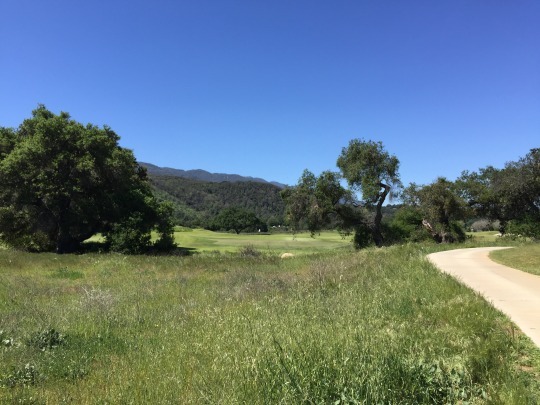 The Cachuma Valley where it sits just seemed to miss out on any rainfall. The lake is still very low even after a very wet winter here. 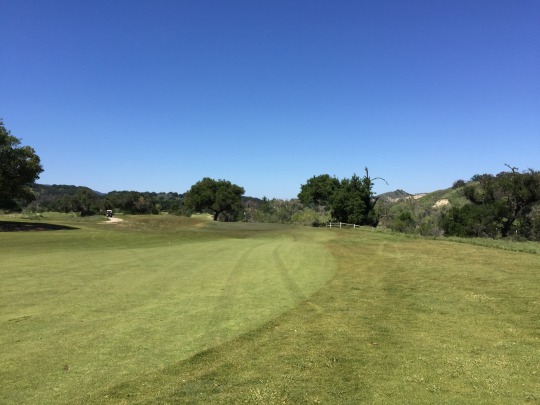 Due to water restrictions, the course mainly just took care of their greens for several years and let the fairways and rough go. 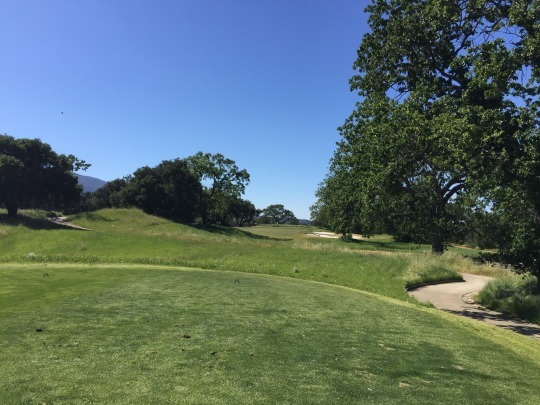 Every review I saw during that time was a little depressing because I knew how amazing the course was in its prime. 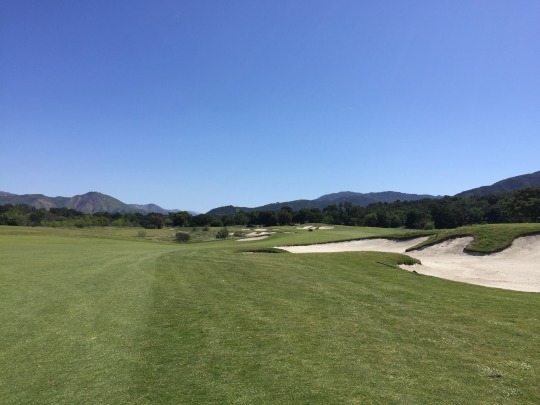 I refused to play the course during that period because I couldn’t bear to see it so bad. I didn’t even want to drive along the scenic Highway 154 because you can see the course from the road. It was best avoided until I heard good things. 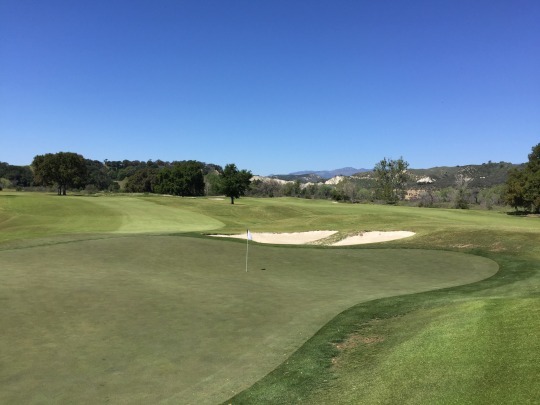 Luckily, after all the rain we received this winter, I heard that the course was green again. That paired the GK deal made it impossible to pass up. I still had my reservations about conditions, but I’m sure glad I made the drive. Though still not quite what it once was, you’d be surprised to know that Rancho San Marcos went through the major water struggles it did. It is looking pretty darn healthy once again. It is a redemption story that I hope continues to get even better. 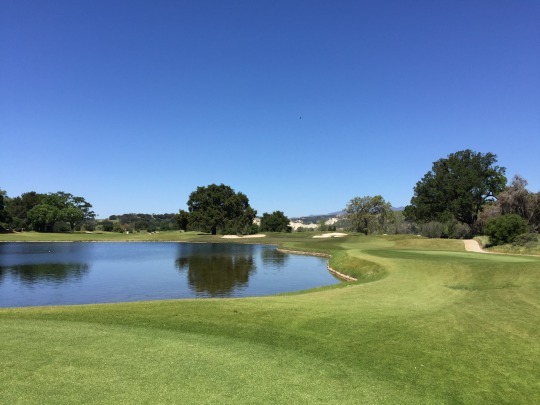 Rancho San Marcos was designed by Robert Trent Jones, Jr. It is nestled in the valley next to the river and lake. 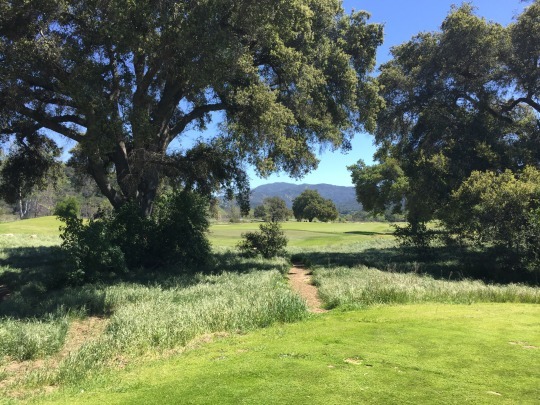 There are no homes around the course and it is a beautiful, serene setting. 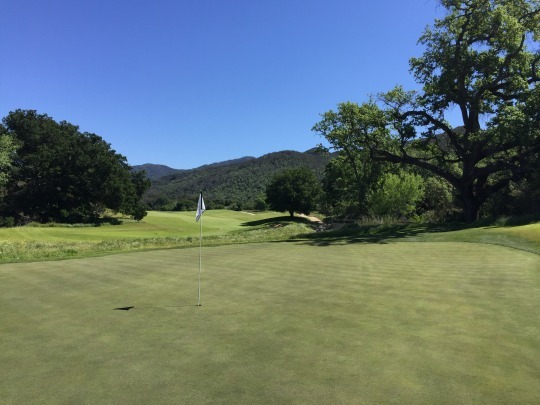 The facilities are simple and rustic, and it is clearly a place where golf comes first. 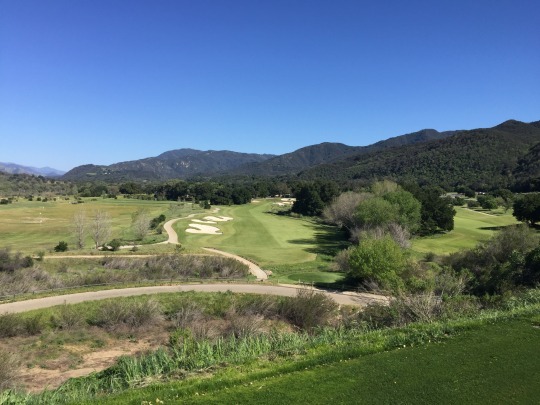 Though not really related in any way other than both being in Santa Barbara County, it is a good “sister” course to La Purisima. Both have similar appeal, and odds are if you love one, you’ll love both. 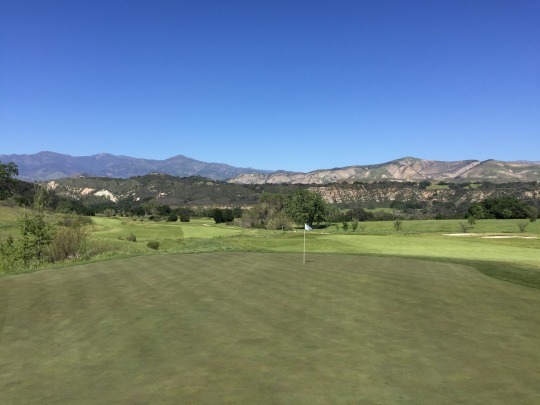 The front nine of Rancho San Marcos plays along a flatter landscape, while the back brings in more elevation changes. There is one big water hazard that comes into play on holes 5 and 9. Otherwise, every hole is impacted by more natural hazards and “native” areas you’ll want to avoid. 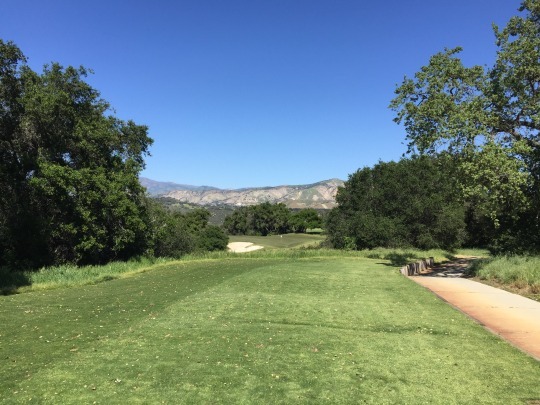 One thing I really like about RSM is the routing that includes seven par-4s, five par-5s and six par-3s. It’s a unique mix and I definitely enjoy the great variety of the par-3s. The signature holes here are probably the 5th, which plays directly over the aforementioned water hazard, and the 14th. 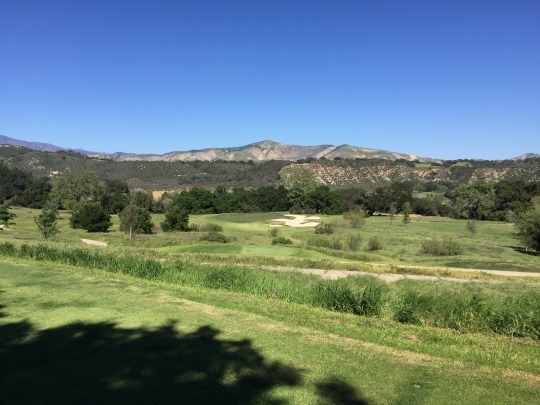 The 14th hole plays along a ridge that overlooks (what’s left of) Cachuma Lake. 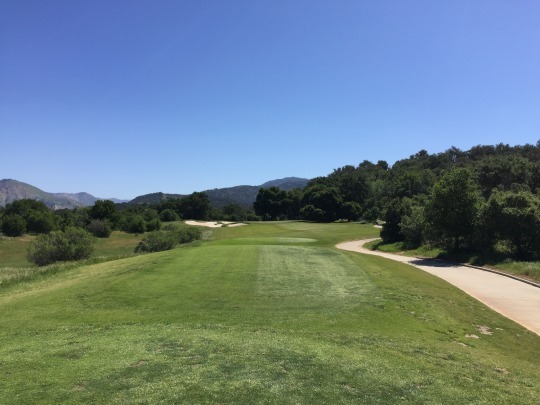 Really, there are many memorable holes throughout the course, so it will keep you challenged and entertained all the way through. As for conditions, I was very impressed at how far the course has come in such a short time. 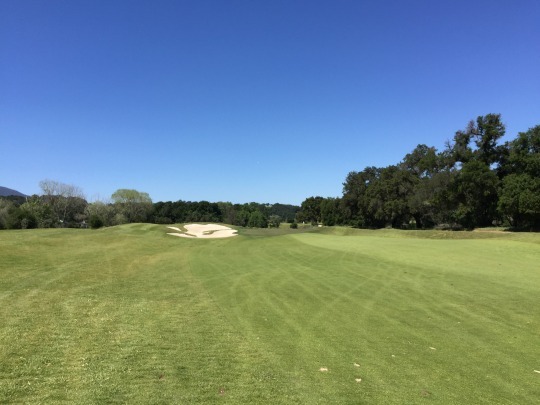 If I hadn’t played here back when things were truly pristine, I’d rate the course conditions now as “excellent.” Because of my past experience, I’d just say “very good,” which is still amazing with all things considered. The tee boxes were great, though there were some unlevel spots to deal with on the white tees. The fairways were really good. They were firm underneath, which allowed for a lot of extra roll-out. However, the pad of turf was nice and soft on top to provide great lies to hit from. 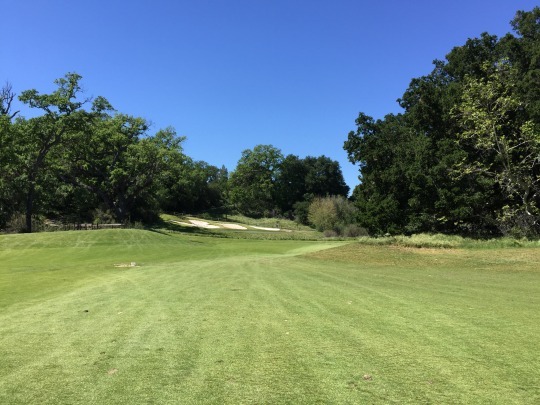 A couple fairways still need a little TLC, but overall I was pretty impressed. The rough was cut down and not a factor. The ground underneath the rough is a bit bumpy, though, so the cart rides were a little shaky at times. The bunkers were pretty good from what I experienced. The greens were the highlight of the course. They were firm, yet very receptive to well-struck shots. They rolled smooth at medium speeds. It’s clear the work they did to keep them maintained despite the water struggles throughout the years. 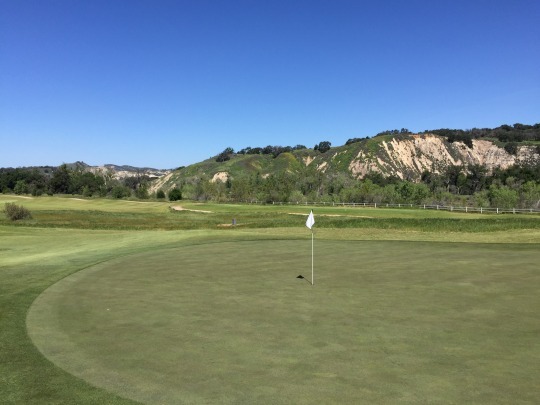 If you haven’t experienced Rancho San Marcos, now is the time to take advantage of current conditions. I sure hope things continue to improve, but it could be another dry summer ahead and I do not know how long they’ll be able to maintain or improve upon what you get out there at the moment. My fingers are crossed that RSM continues toward a full comeback. It is a special course that deserves the best!